Each April, the annual Milk Makers Fest brings 1st grade students to the dairy farm. The Whatcom County Dairy Women hold the event for both public and homeschooled students to learn about the milking process and daily life on a dairy farm, including care, feed, irrigation, fertilizing crops, and more. 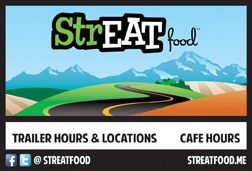 This year’s event takes place April 22-24 at the Lynden Fairgrounds, and includes an adult-only session on the 22nd. Cheryl DeHaan has been the coordinator of the event since its inception in 1993. She and her husband Larry operate a dairy north of Lynden, milking 450-plus Holsteins and registered Brown Swiss. Their farm is a member of the Northwest Dairy Association (Darigold). She is active in the Whatcom County Dairy Women chapter, as well as other organizations. She shared some of her thoughts about the event. 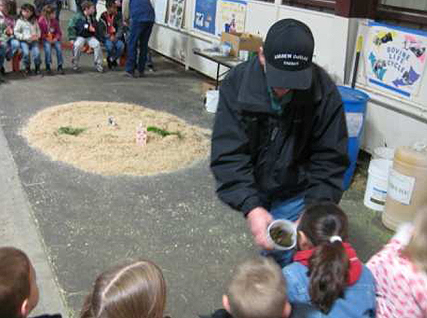 Grow Northwest: When did the Milk Makers Fest start reaching out to young students, and what information about the local dairy industry do you share? Cheryl DeHaan: This is our 21st year. We began in 1993 to help Dairy Family of the Year farmers take on all the school children tours in an organized event instead of burdening them with a class here and a class there scattered throughout an entire month. We began with a one day event on the farm and it just grew from there. We moved to the fairgrounds years ago and have students three days now. We offer two sessions a day. Early release Wednesdays in some districts and transportation issues changed our schedule again a couple of years ago so we no longer have a Wednesday afternoon session. Each session is about two hours and the students are led through six stations. All are 15 minutes except for the wagon ride/scavenger hunt which is half an hour. They also visit the milking parlor learning about the milking process with a real cow, and the students get to feel the milk machine pulsation. Students also get to hand milk the famous Twister model cow. At another station they learn all about calf health and care and all the breeds of dairy cattle. My favorite station is the Circle of Farming. They learn how everything on the farm relates to the dairy cow, from calves, harvesting feed, irrigation, fertilizing crops and harvesting milk. The Dairy Ambassador shares nutrition and a chug of chocolate milk at another station. We also have a giant hay maze set up with lots of farm animals to see. GN: How many students does the event reach? What districts visit? 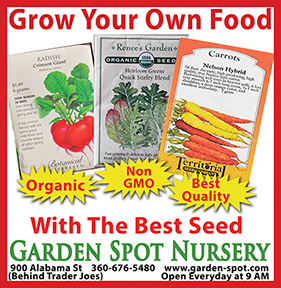 CD: Every Whatcom County School District is represented and 56 classrooms will be touring our farm this year. This includes both private and public schools and homeschooled kids. Including the parents who tag along, there will be more than 1,500 learning about the dairy industry this year. 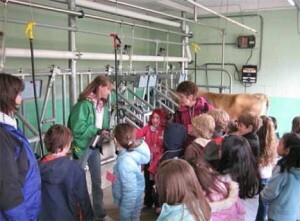 GN: How do young students react when learning about daily life on a dairy farm? What do you think they enjoy learning about, or are most fascinated by? CD: They LOVE this event. So do the teachers and parents! So many favorites. They love the animals, the dairy princess, the chocolate milk, the tractor pulled wagon ride, the maze, the smells…. EVERYTHING! GN: Can you tell us more about the scavenger hunt for farm related objects? What type of things are students looking for? CD: On the wagon ride they have a check-off list including such things as barn boots, wheelbarrow, farmers hat and coveralls, sacks of feed, calf bottle, etc. Each year the items change a bit. The items are strategically placed along the wagon route. GN: How many volunteers help each year, and what are their roles? CD: We utilize about 45 volunteers each day. Each station has a leader or two, depending on the station. There are four tractor drivers each day. Every classroom has their own personal group leader that takes them from station to station following a written schedule. And there are 12 classrooms on tour during each session. There are also people who park buses and cars, take care of all the animals, help students wash hands, and someone who feeds all the volunteers. We are offering an adult only session open to the community on Tuesday afternoon, April 22. We would love to share our industry with them. 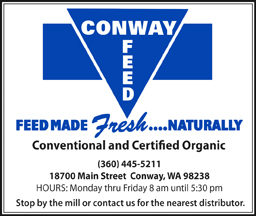 A link to a volunteer form, and other information, is posted on the Whatcom County Dairy Women facebook page. To sign up for the adult-only session, or if you need other information, contact Coordinator Cheryl DeHaan at stormhaaven@juno.com. Correction: The print version of this article contained wrong information about the presenter of this program. The Whatcom County Dairy Women has always been the sole coordinating group. 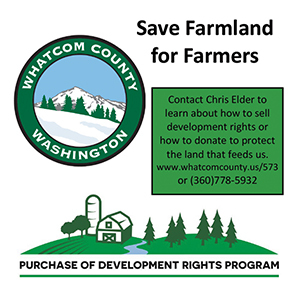 Additionally, the position of Community Education Program Manager at Whatcom Farm Friends was formerly held by Cheryl DeHaan, however the position was eliminated several years ago and is no longer filled. 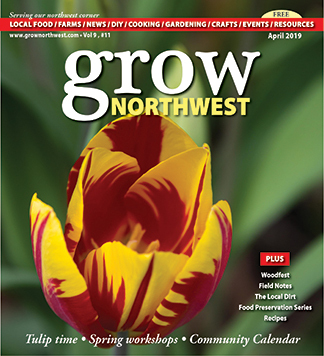 Grow Northwest apologizes for the errors.